From delectable classics smothered in memories to fresh flavors & traditions in the making, it's all good food. You know those days when you just want to veg on the couch with a book, or binge on movies or simply lay there without moving. 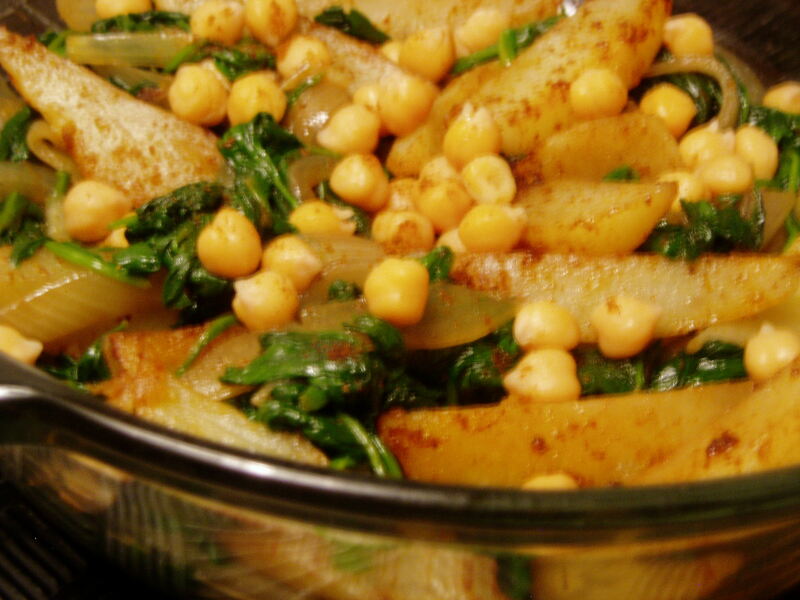 Those are the days to reach for foods that are perfect to recharge those batteries and are also easy to pull together, like this spinach, potato and chickpea dish. Get your iron and antioxidants from the dark green goodness of spinach. Get your protein, dietary fiber, zinc and folate from the chickpea. The potatoes are there to add comfort. I eat it as a side or even as a mini-meal by itself. Spinach and chickpeas are cooked together, in every possible fashion, all the way from South Asia through the Mediterranean. There’s a good reason it is so popular. This is a ridiculously easy, refreshing summer time salad and it takes less than three minutes to throw together. I’m sure this doesn’t really qualify as a recipe but like a lot of the simplest fare it tastes delicious when made with fresh ingredients. 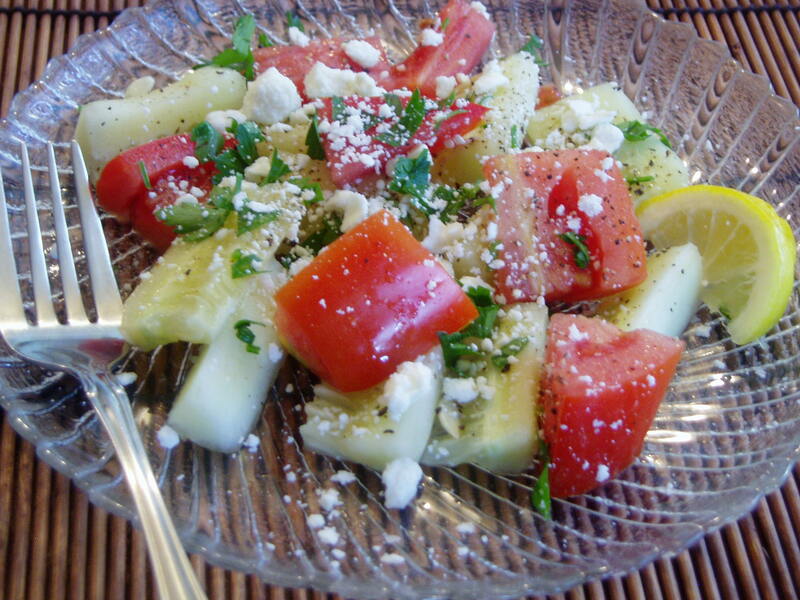 It’s the kind of cooling salad that I’m still reaching for as the summer heat, though waning, still lingers. I also think this salad tastes better when eaten outdoors but that may just be me. When the basil whispered to the tomato, it said soup. Scatterthebatter My kitchenista friends over in India who’re shakin’, bakin’ and stirring up all sorts of yumminess. Great place for vegetarian recipes. Bliss in me Meditation My meditation coach since 2008, teaching me to stay centered through dry mac n’ cheese and runny sweet potato pie. It’s all food for growth.